Here’s a guest post from our friends at All Business Schools! Women have come a long way in the business world, from the types of careers we can have to the total number of women in the workforce. However, while women are now equal enrollers in medical school and law school, the number of women who apply to and enroll in business school is still lagging behind. As the infographic Women Rising: Women, Work and What’s Next shows, women are reaching equality to men in many ways in the business world, but there is still a long way to go. Women now comprise 41% of Harvard Business School students compared to only 1.2% in the class of 1965. In addition, while female leadership in companies continues to grow, women still make up only 5.4% of Fortune 500 CEOs. To improve this situation, some countries are making efforts to include more women on boards of directors, but many women don’t have the educational background or work experience required to be on corporate boards. Truly, more female MBA graduates are needed. If we’re to make a difference, our efforts need to start in grade school. A study on teenage girls from 2002 found that girls leave high school with less confidence in key business-related subjects like math and finance, despite having higher grades than male students. And while women are overall earning more undergraduate and graduate degrees than men, we are still earning only 37% of MBAs. 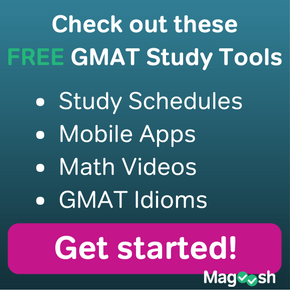 The GMAT is one known barrier to entry into MBA programs. Women make up 60% of college graduates and have higher GPAs than their male peers, but only 20% of women graduates attempt to take the GMAT. Of the women who do take the GMAT, many are discouraged to learn that they score an average of 38 points lower than men in math. Math scores have even more of an impact on minority women, who score an average of 150 points less than their white male counterparts. 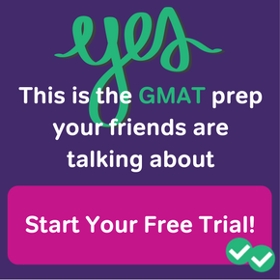 Low GMAT scores are a common reason women do not even apply to their first-choice business school, and many women also cite their GMAT scores as a reason they didn’t get into business school at all. 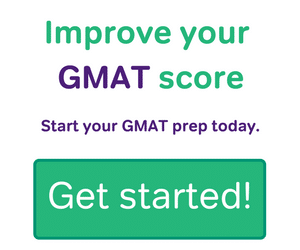 Since some B-schools use a GMAT cut-off score of 550, the women’s average GMAT score of 503 needs to increase if we’re to see any improvement in the general rate of acceptance to business school. Test prep can give women the knowledge and confidence we need to sit for the GMAT, increase their scores, and fulfill our dreams of working in the business world. 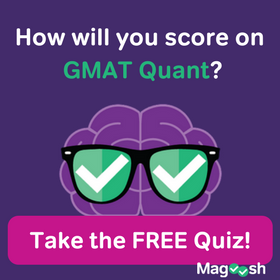 On average, people who take GMAT test-prep courses improve their score by 50 points. For women, when every point matters, 50 points can make the difference between getting into your first-choice school and settling for second best. Glad to see this was written. As a not male, I had some of these thoughts, so it was nice to see this article.